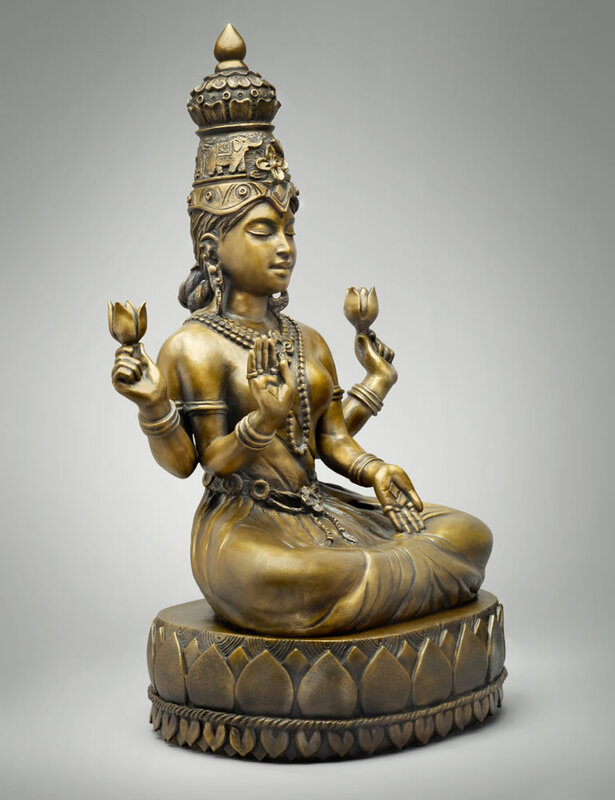 Bountiful Lakshmi is an embodiment of Shakti, the sacred feminine creative force. 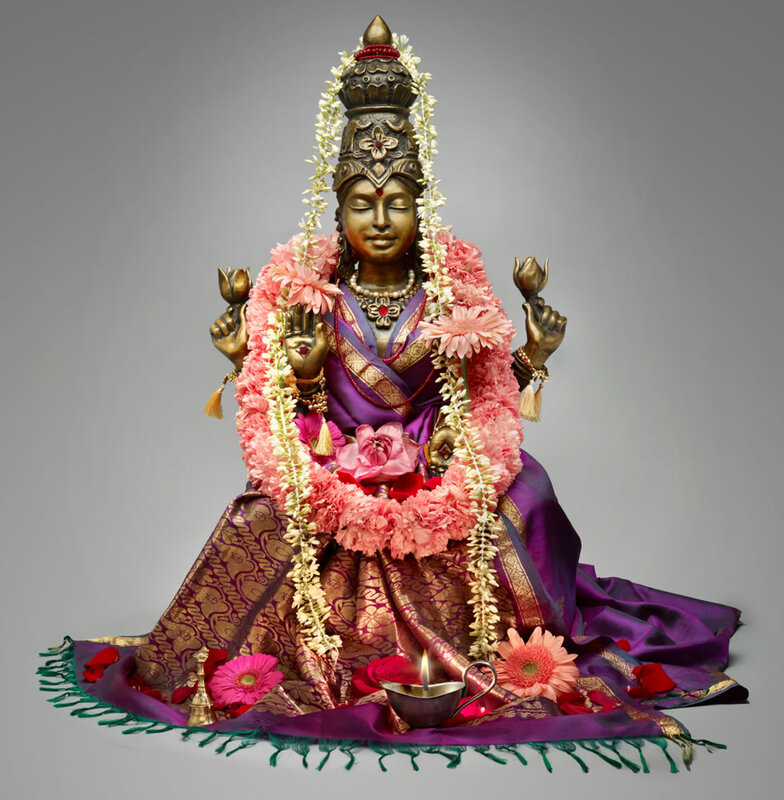 She is one of the Hindu Tri-Devi (Shakti) Goddesses, along with Sri Saraswati and Sri Durga. She radiates beauty, serenity, grace and charm. She holds lotus flowers to denote her purity and the blessings we receive through our devotion to the spiritual path. Her other hands express a gesture (mudra) of blessing and give forth prosperity. She embodies the divine quality of Love, and inspires the devotion of the soul to God. For it is through love that we find our connection to the Divine. May Mahalakshmi bless you with success, good fortune, generosity.